WHAT’S THE REAL TRUTH? DIRECT DETAILED ANSWERS. KNOW TODAY. When it comes to relationships, it can get tricky. You need straight forward guidance. I have no interest in sugar coating. It's not beneficial for either one of us. My goal is to give you options so you choose. My approach is to get to the underlying issues by tapping in peeling away the layers that people tend to hide. This puts you in the "know" helping you to understand what is really going on with your relationship, job or other personal issues. It gives you the opportunity to make a better informed choice for you. I’m here to give you the straight forward answers you NEED. Thank you , to the point answered all my questions. fast feel authentic. Hello!....If I am not on, please use the Arrange-A-Call feature....I will take your call as soon as possible! Warm, personable, poised, and professional, Michelle Caporale neither looks or nor acts like the type of psychic some people envision. No flowing skirt, exotic make-up, dangling earnings, strange accent, or crystal ball. Theres no chicanery or anything mysterious or entertaining about what she does. Nothing fake about who she is. Honest, kind and empathetic, Michelle takes her readings, and the help she provides very seriously. Guiding people in choosing better paths and making better decisions in life is her passion and a career shes spent years learning about, developing, and perfecting. She considers it her job to help people set goals and boundaries in their lives, careers, and relationships. And its her mission to help them learn how to lead happier lives. Michelle cares about every client, and believes in providing comfort, healing, and help through readings, spirit guidance, channeling, and other services, to all who seek her counsel. If you have questions about your loved ones, relationships, life issues, or career, Michelle can help you find your answers. Michelle studied under Dr. Paul Daniele, Ph.D., D.D., P.C, the president of the College of Metaphysical Studies in Clearwater, Florida. Majoring in metaphysical science, she earned a four-year degree as a Spirit Medium, as well as a second degree as an Intuitive Practitioner. "Michelle possesses an unwavering sense of confidence and determination that is shared by all who know her. As a psychic reader, I consider her head and shoulders above most Intuitives that I have come in contact with, and I would highly recommend and support her in any endeavor due to her work ethic, intelligence, psychic ability, and above all her innate spirituality." - Dr. Paul Daniele Ph.D., D.D., P.C, the president of the College of Metaphysical Studies in Clearwater, Florida. Michelle has many attributes that can be used order to serve each querent, including: Mediumship (Spirit Communicator), Clairaudience (Clear Hearing), Clairsentience (Clear Feeling), Clairvoyance (Clear Seeing), and Psychometry (Reading the energy attached to objects and photos). As soon as Michelle connects with an individual, she can immediately tap in using these tools. 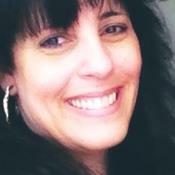 To date,�She has worked on several cold cases with Police Departments and families in New York, Florida, North Carolina, South Carolina, New Jersey, and California.�Michelle�s medium and intuition ability experiences began when she was visited by her great grandmother the night of her wake. "I believe that every question is significant, everyone is an individual with specific circumstances. Readings are not to be taken lightly. I have taken a vow of moral obligation to be honest in what I hear, see, and feel. My greatest desire is to empower you, leaving you with answers so you can make the best choice possible. "Information shall be delivered with the highest regard for your feelings. Being Empathic I am highly sensitive to your emotions and those you inquire about".
" I am FIRM believer in NOT sugar coating. If you are unable to understand your reading, take a step back, see what makes sense. Be true to yourself. I am not interested in giving false hope or fairy tales but rather the truth in how I feel it." Take note: Michelle cannot give you a full reading in one minute. If this is what you seek, please utilize another Advisor that can. Positive feedback is always appreciated! Please remember to take notes, it is imperative so you will remember whom you read with and what was predicted. Michelle Caporale has been a user of Keen since 2001. Getting Love & Relationships advice from Michelle Caporale through www.keen.com is safe, secure and confidential.